In this post, we spotlight what this mapping tool has to offer and some hopes for how it can be further strengthened to advance open data for development in 2015. 2014 has seen the debut of a number of new and innovative tools for policymakers and scholars to use in their efforts to unlock the black box of financing for development. This June, InterAction - an alliance of 180 US non-governmental organizations in international development - launched one such tool, NGO Aid Map to visualize its members’ activities in developing countries. In this post, we spotlight what this mapping tool has to offer and some hopes for how it can be further strengthened to advance open data for development in 2015. Through interactive maps and data visualizations, NGO Aid Map presents a colletion of data on more than 9,200 active projects undertaken by over 130 NGO's as well as projects funded by the United States government and other governments operating in 158 countries via an accessible and shareable interface. With a broader goal “to increase the amount of publicly available data on international development and humanitarian response,” InterAction’s latest initiative, equips donors to strengthen coordination, improve aid efficiency, and avoid perverse incentives that lead to the misreporting of data. For more on Why Transparency Matters, check out the companion blog series from InterAction and experts from AidData, Oxfam, Development Initiatives, Foundation Center and Publish What You Fund. In its first iteration, NGO Aid Map tracked NGO activity in Haiti after its latest earthquake. InterAction, in partnership with the US Chamber of Commerce, sought to streamline aid coordination and help the humanitarian community address criticism regarding inefficiency and lack of transparency in providing relief to Haiti. In light of the recent Ebola outbreak, InterAction issued a call to their members to publish operational data on relevant relief projects, receiving submissions on over 63 projects from members in the process. NGO Aid Map is synergistic with many of AidData’s projects to shed light on the foreign aid puzzle that has since expanded to include emerging development cooperation providers, multilateral organizations, private foundations, and NGOs. NGO Aid Map complements AidData’s efforts to map official donor assistance by providing a unique dashboard for private development assistance data. The dashboard displays the activities of NGOs that are heavily funded by private individuals, foundations, and corporations, in line with AidData’s recent release of a dashboard on the activities of US private foundations. Finally, by providing maps with layers on health and poverty indicators, it supports existing and future scholarship on foreign aid and international development. With NGO Aid Map, InterAction has already laid important groundwork in mobilizing a critical mass of US non-governmental organizations - 130 to date - to make information on their activities publicly available. Looking ahead, we hope that the NGO Aid Map continues to gain traction in 2015, particularly in increasing the number of contributing organizations, expanding the type of information reported and strengthening the quality of project information to facilitate further analysis. Click here to learn more about NGO Aid Map and follow NGO Aid Map and InterAction on Twitter. Harsh Desai previously served as a Program Manager in GIS Analytics and Extractives Policy at AidData. 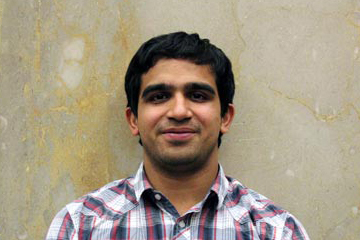 Harsh Desai is an AidData Junior Program Manager and Research Associate. Dan Kent is a Research Assistant at AidData.